Norton Junior School and Kirk Sandall Juniors return to the EFL Kids Cup action when they meet in the EFL Doncaster Kids Cup final on Saturday February 9. Norton made the final after seeing off Clarborough in the semi final, whilst Kirk Sandall Juniors advanced to the final after coming from 1-0 down against Tranmoor Primary School to win 2-1 late on. The final will be played on the Keepmoat Stadium turf before Doncaster Rovers face Peterborough United in Sky Bet League One. The EFL Kids Cup is a national tournament for junior footballers, which offers children a once in a lifetime opportunity to play at Wembley Stadium. The Cup involves over 16,000 children and creates one of the country’s largest national football competitions, which culminates in exciting finals at Wembley Stadium in front of thousands of fans before a major national final, as schoolchildren live out their dream. The competition, which inspires children to be active, healthy, and develop a strong sense of teamwork, discovered Watford footballer Will Hughes and Manchester United’s Scott McTominay, while David Beckham’s former school Chase Lane Primary walked away as 2013/14 Kids Cup League 1 winners, representing Leyton Orient. Norton Junior School started as they meant to go, grinding out results in the group stages. After dismissing Carcroft in the last 16, Gavin Chadwick’s men saw off a stubborn Barnburgh side in the quarter final, before dismantling underdogs Clarborough in a one-sided semi final. 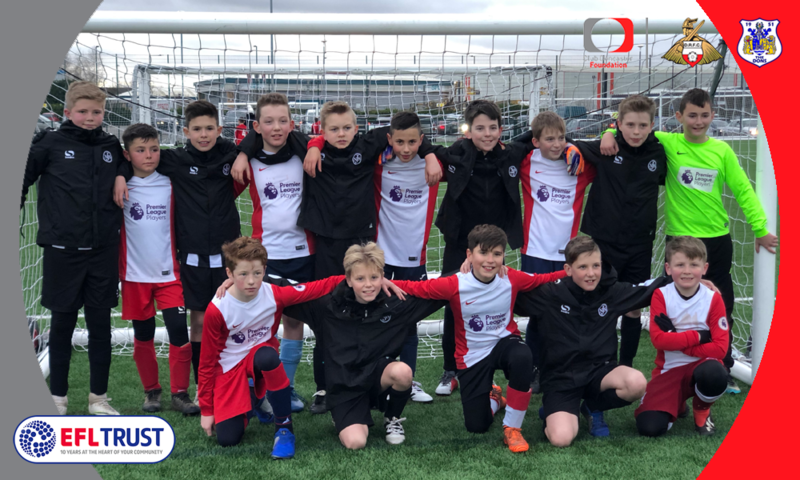 Kirk Sandall Juniors progressed to the final with victories over Saltersgate and Bessacarr in the knockout rounds, before a last-gasp win over favourites Tranmoor Primary School sealed their place in the final. Kirk Sandall came from 1-0 down against Tranmoor to win 2-1 with what was the final kick of the game. Club Doncaster Foundation’s Mark Cooper will be the man in the middle when the two sides meet on February 9. This will be Cooper's first final.